It was a snowy day in New York today. Once the snow hit the ground, it didn't impress much but as it was falling it made for some beautiful sights. 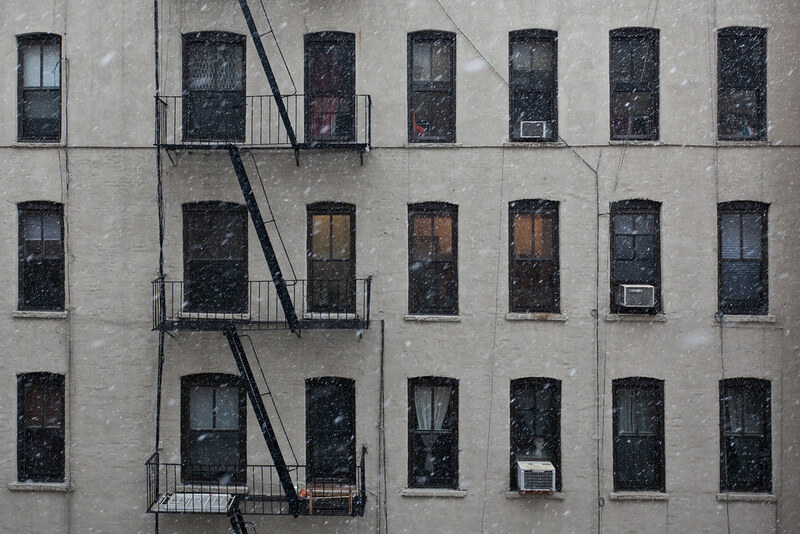 Here, the snow comes down between two buildings near Bowery and Houston Street.